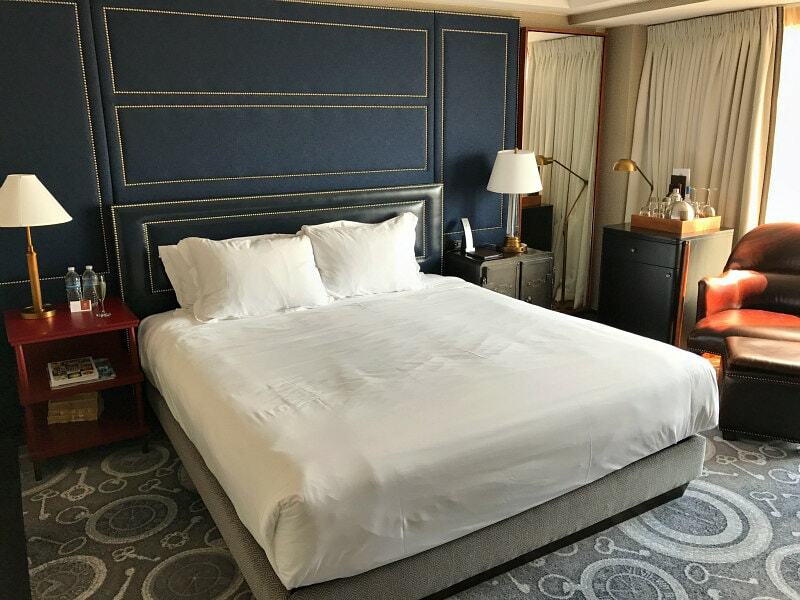 I’m sharing a review of the Liberty Hotel Boston. 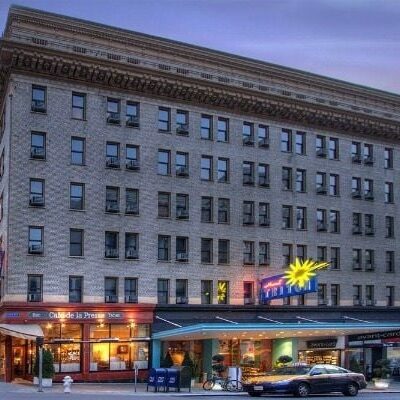 It’s a quirky and unique luxury hotel located in the Beacon Hill area of Boston, Massachusetts. 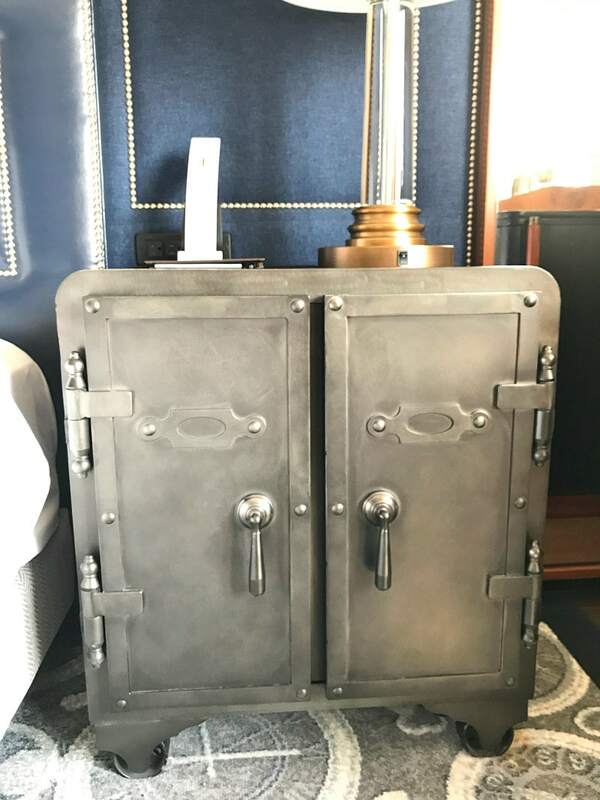 When we were planning a trip to Boston for a little getaway, my husband told me that we should check out this cool hotel he had heard about. 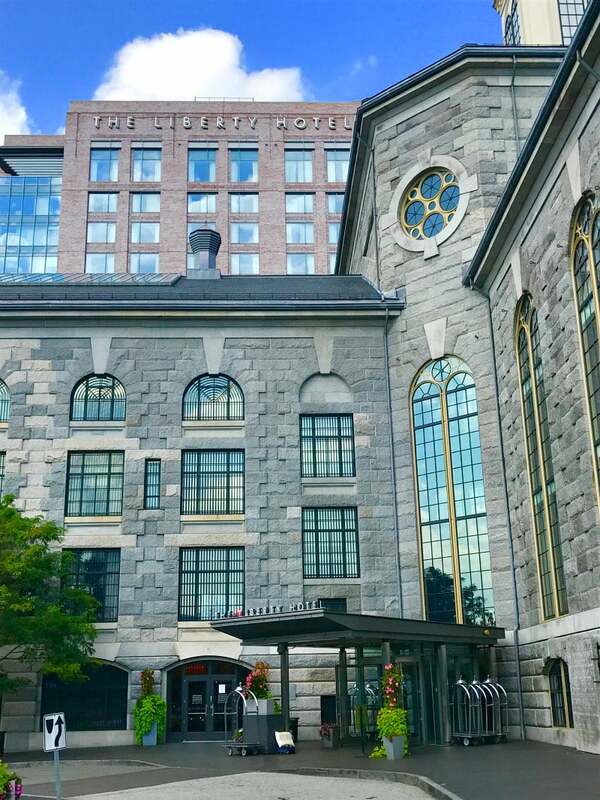 The Liberty Hotel used to be the Charles Street Jail, which was built in 1851. They transformed this place into a luxury hotel! 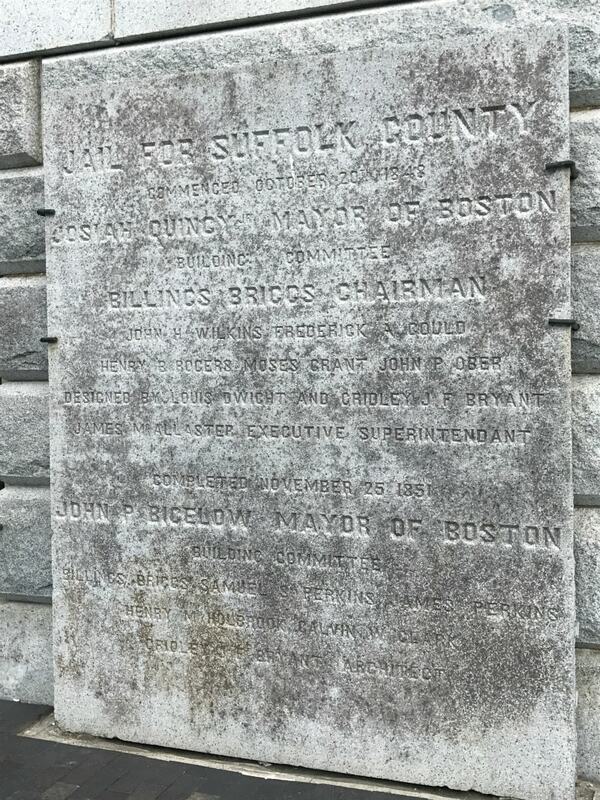 Yep, the plaque is still there to commemorate this historical jail site. 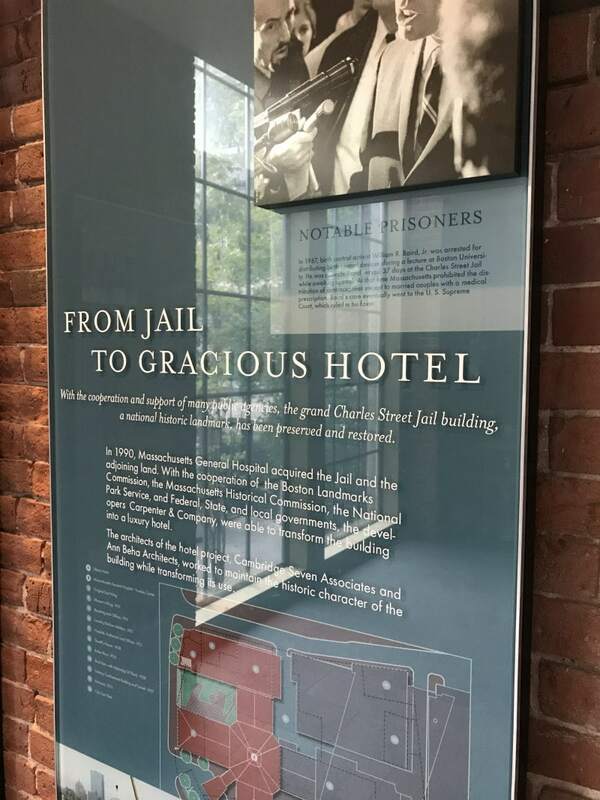 The Charles Street Jail housed some of Boston’s most notorious criminals- including Malcolm X. There is historical information displayed throughout the lobby hallways. They also offer historical tours. This is a very old building, but they’ve renovated into something that is cool and modern– still keeping the historical “jail” style. 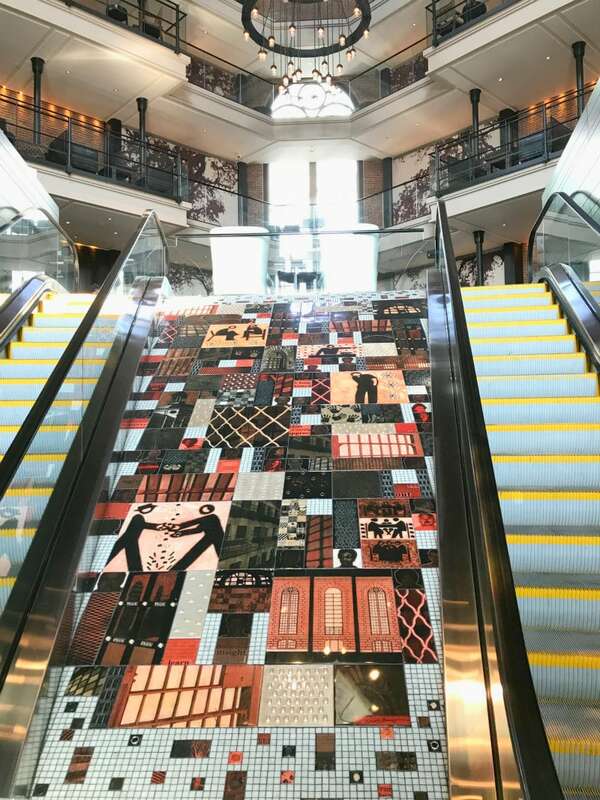 This is the escalator leading up to the lobby. You’re greeted with a glass of champagne as soon as you check in! They still kept a lot of the brick walls. The funky vibe of modern meets old is pretty neat. We had a basic queen room. I’ve been in a lot of hotel rooms that are quite boring. They put some thought into the decor of these rooms though! I feel like they took effort to decorate the walls with theme-appropriate framed art (historical photos and jail keys). 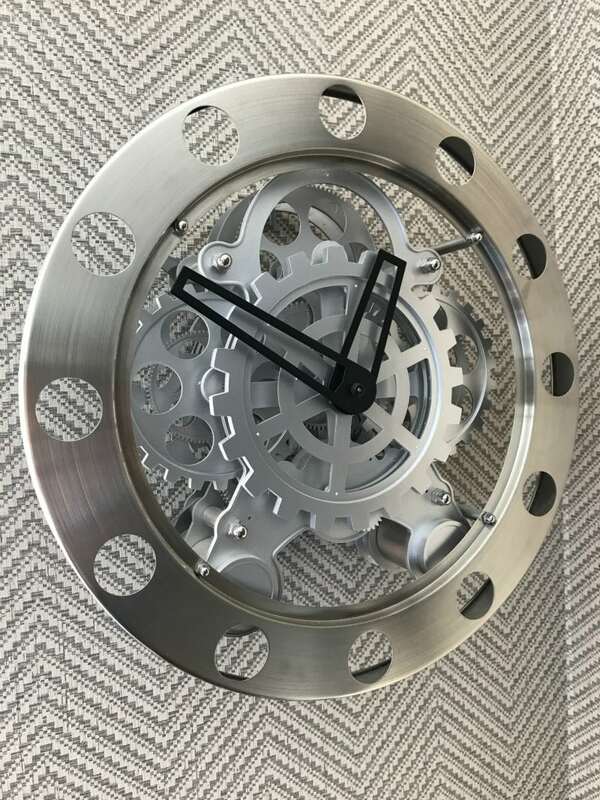 A cool mechanical clock was hanging on the wall too. 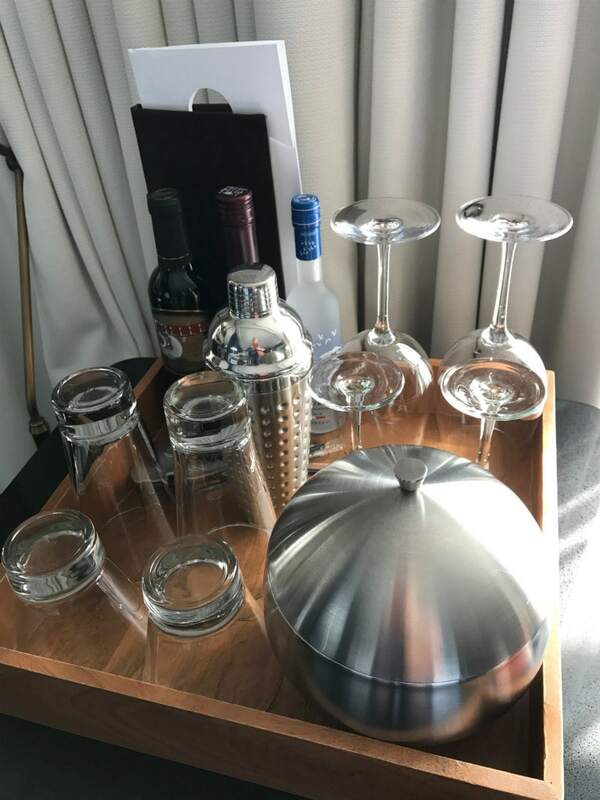 The in-room bar had REAL glasses and a decent selection of booze to choose from. We bought our own wine and just used the glasses! 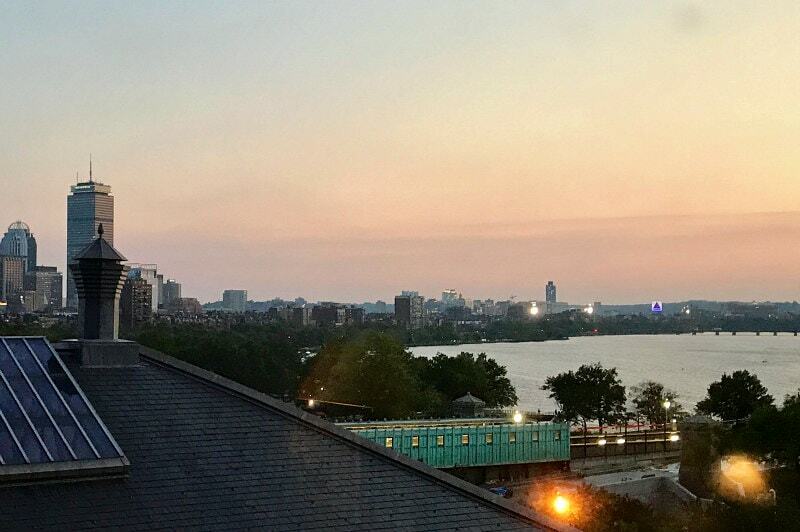 The view from our room toward the Charles River was pretty decent! 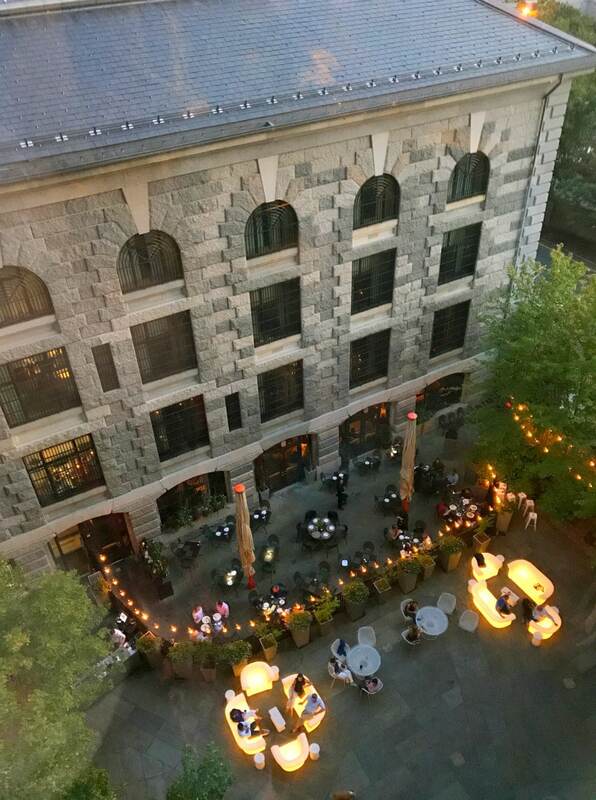 Looking down from our room, we spied a happy hour in the courtyard below. See those lit-up things down below? Those are couches that have lights in them! 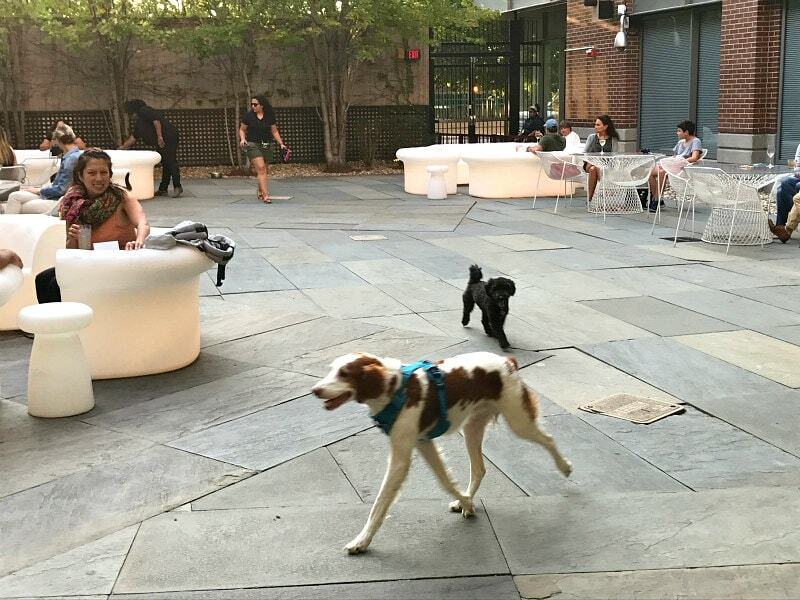 We wandered down to happy hour in “The Yard,” and found that it was actually Yappy Hour (happy hour where your dogs are invited). It was so much fun. The dogs just played and trotted around, happy as can be. This is a dog-friendly hotel. The Yard is also used for wine dinners and seasonal events. There are 5 restaurants and bars on the hotel property. 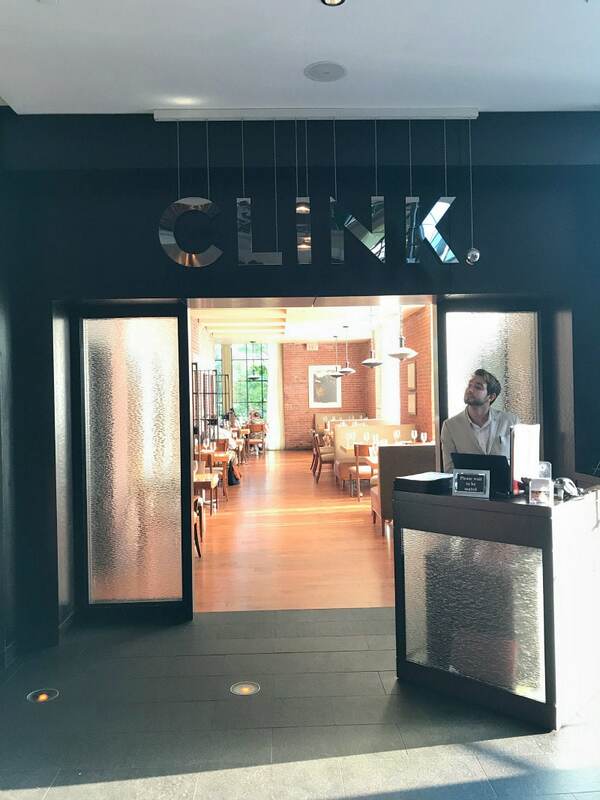 Clink is a nicer restaurant offering seafood and seasonal meals. Liberty Lobby Bar is a big hangout for hotel guests. Scampo is a restaurant with a Mediterranean/ Middle Eastern vibe. 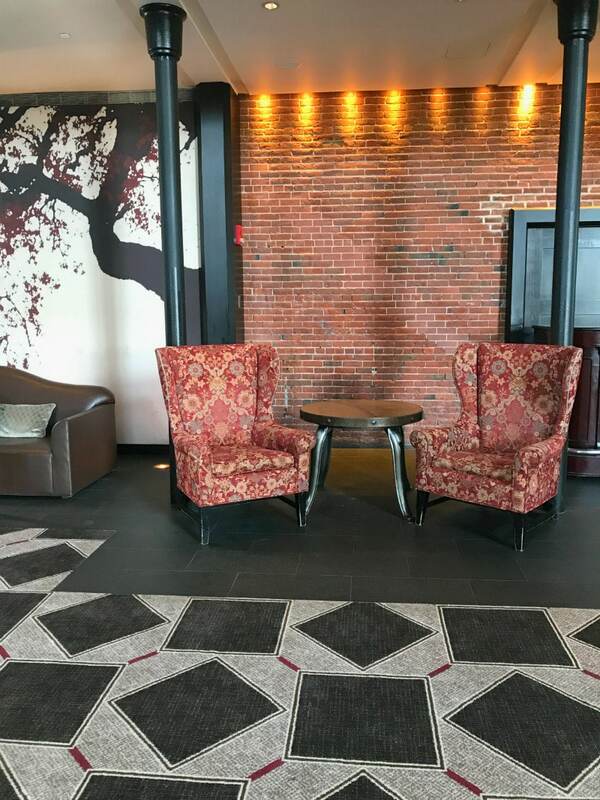 Catwalk is a hotel-guest only retreat that is on the original Charles Street Jail catwalk. Alibi is where we chose to hang out. 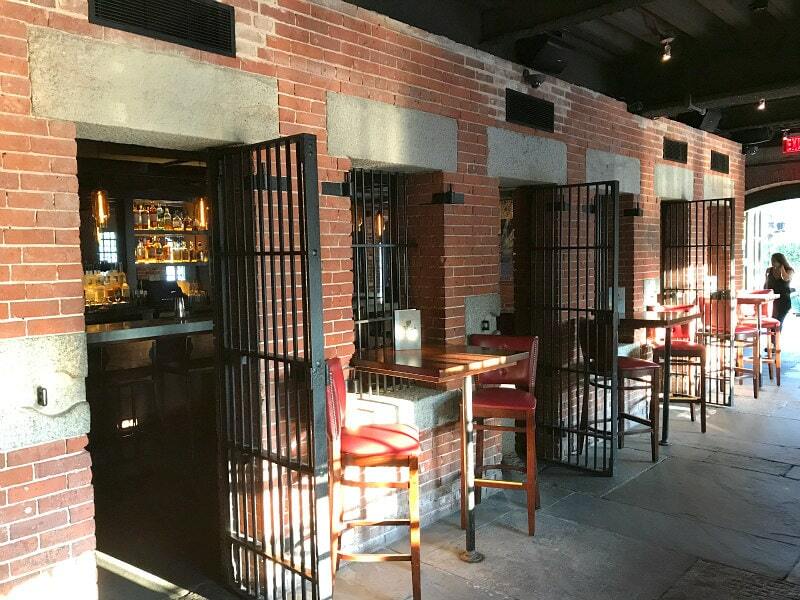 Set in the old “drunk tank” of what was Boston’s historic Charles Street Jail, Alibi is a hot spot for cocktails and late night snacking. 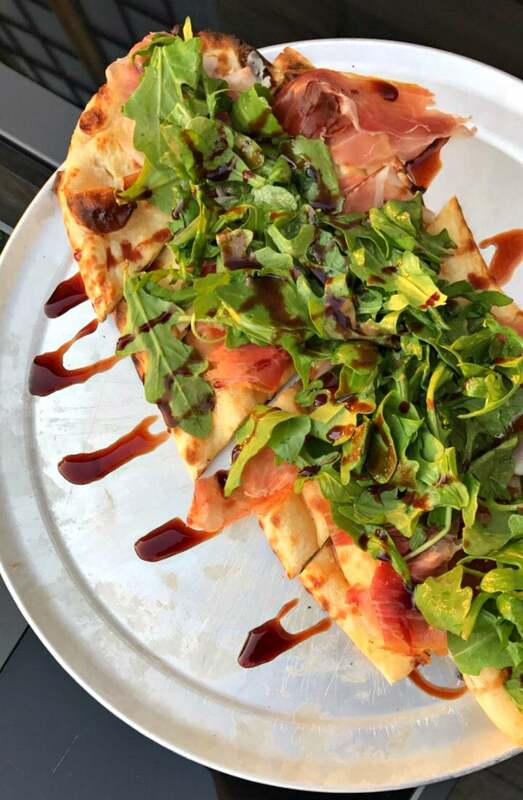 We sat in the very comfortable outdoor section of Alibi and enjoyed flatbread with arugula, prosciutto and balsamic glaze. They have a nice selection of craft cocktails too. 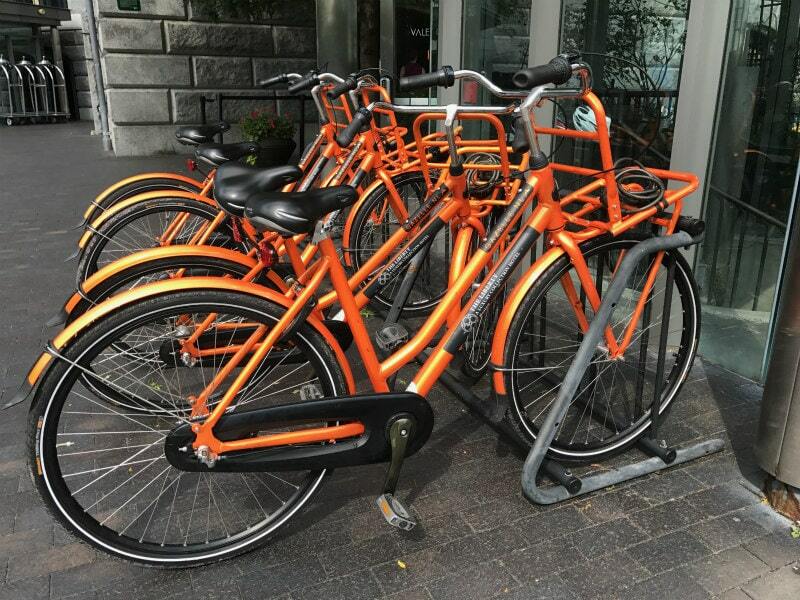 Bikes and kayaks are available to rent for hotel guests when the weather is nice. 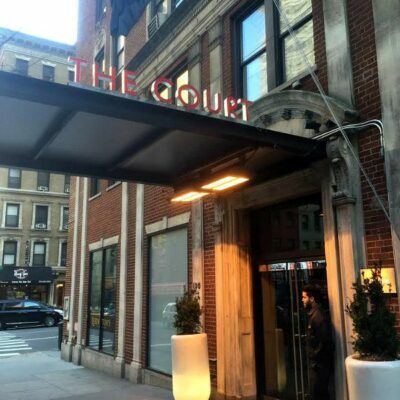 As a hotel guest, you also have access to a 24-hour fitness room and a jogging map of the city. We found the location of the hotel to be perfect. Sometimes we used Uber to get where we wanted to go. But it’s certainly walkable to many notable Boston sights. 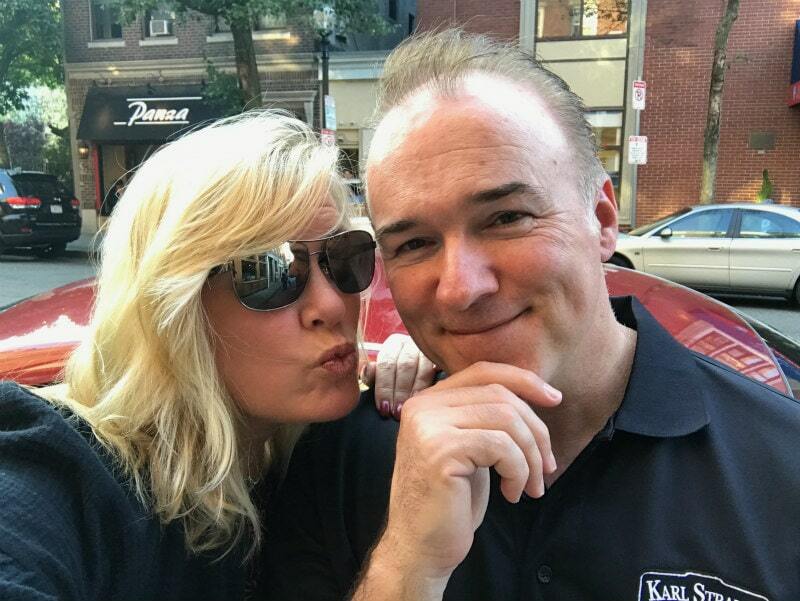 We did grab an Uber to go over to the North End (you must go– it’s Boston’s Little Italy). The North End has been a favorite of ours for years. 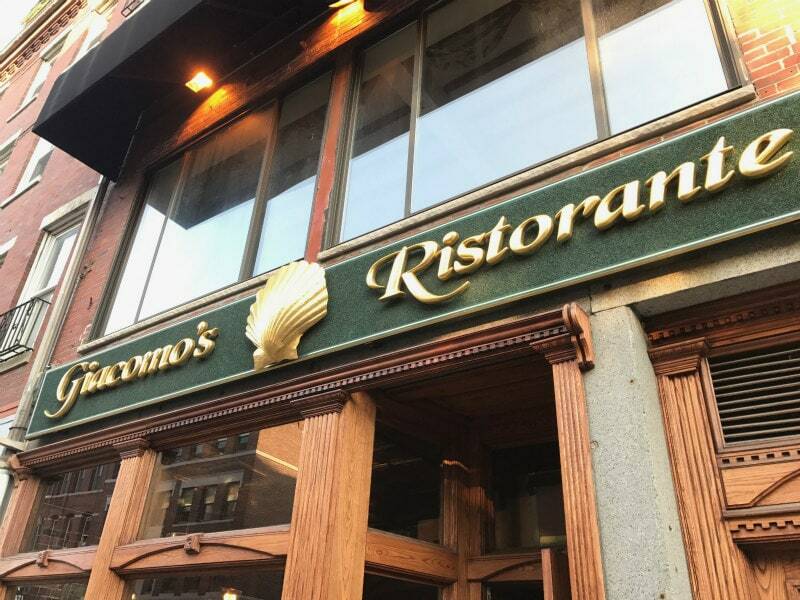 Our favorite restaurant in the North End is Giacomo’s. It’s Italian, of course. Giacomo’s is a small, cash-only restaurant. The place is so popular that you need to get there early to stand in line outside to get in. It’s worth it! They tend to move people along pretty quickly, so don’t expect a long, lingering dinner. 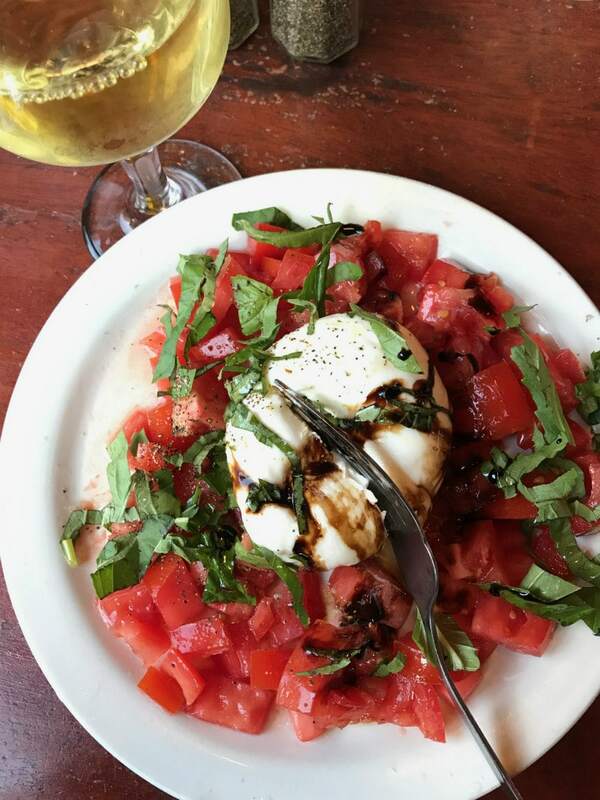 I recommend their Caprese Salad. We usually get some sort of ravioli with cream sauce here too. There isn’t a huge menu, but it’s all very good. This restaurant has been a favorite of ours for many years. 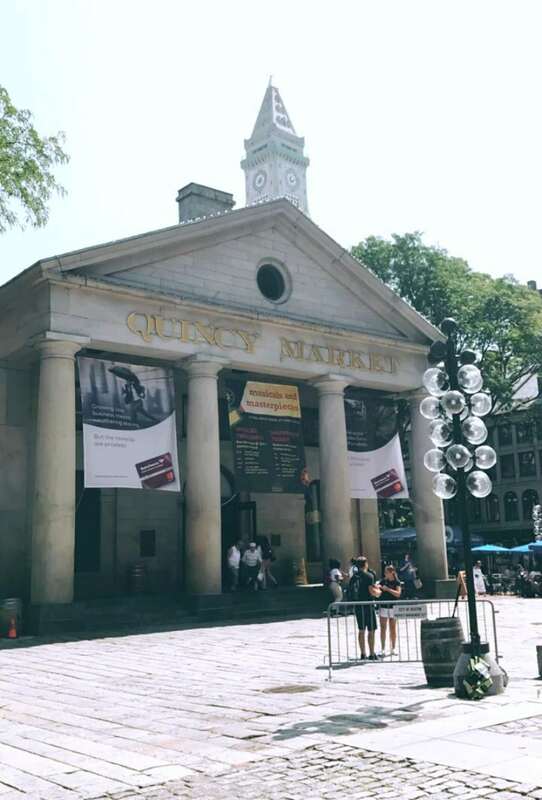 When in Boston, you need to check out Faneuil Hall Marketplace and Quincy Market. 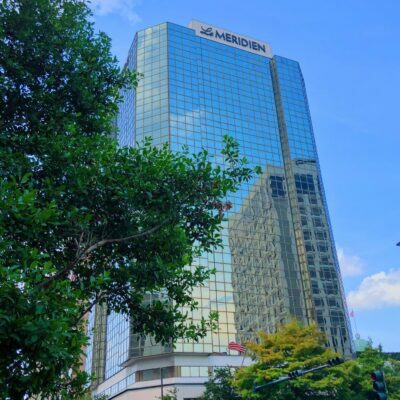 It’s a shopping paradise, and there are tons of food stalls to check out. 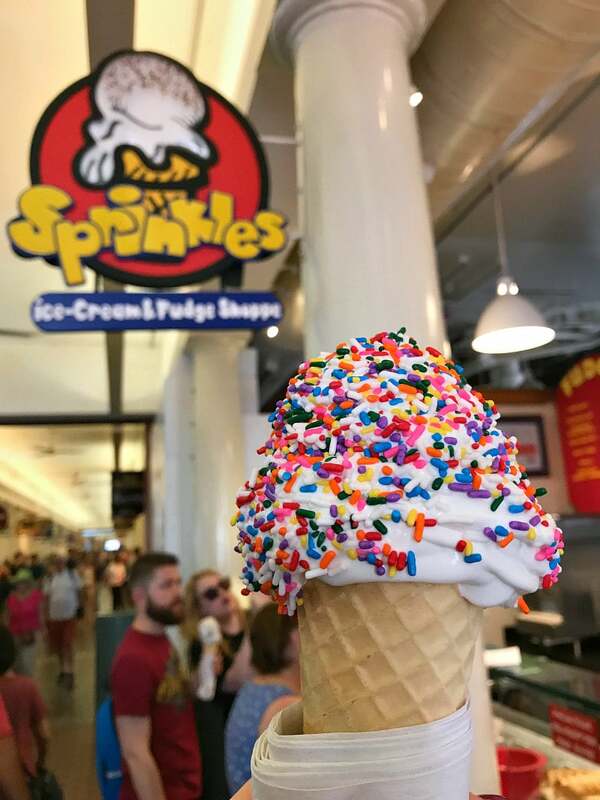 Of all the food in this place, I chose soft serve with sprinkles! 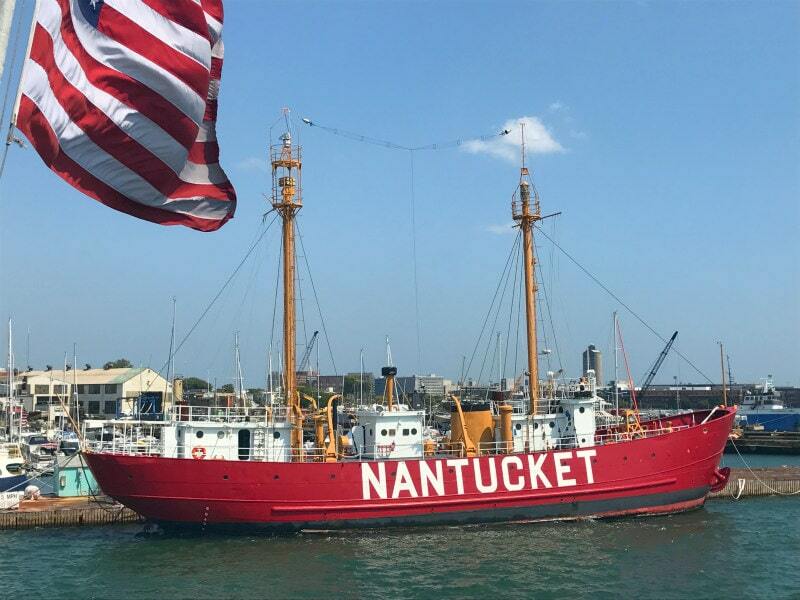 We have visited Boston dozens of times and had never gone out on a harbor tour. This was my suggestion! 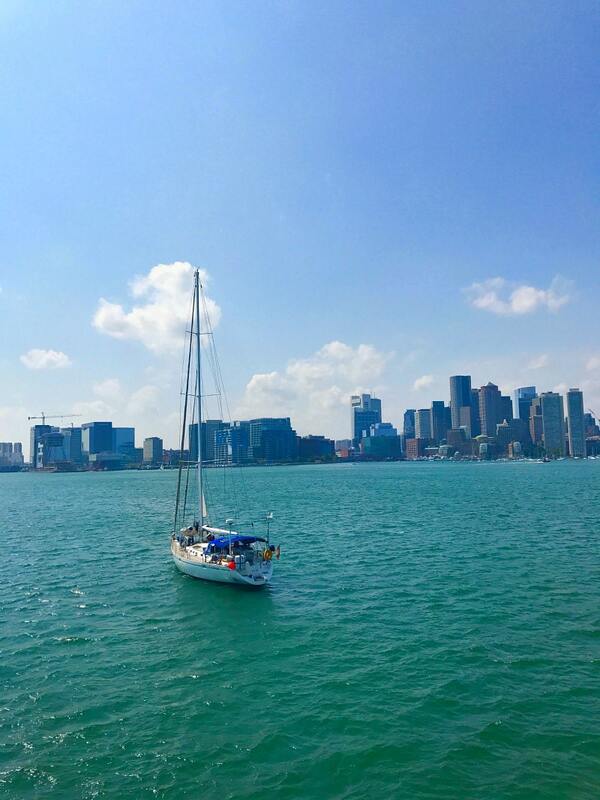 If you’re in Boston on a beautiful day, I highly recommend heading down to the harbor to jump on a boat for a tour. It’s so pretty in the harbor, and they kind of take you all over. 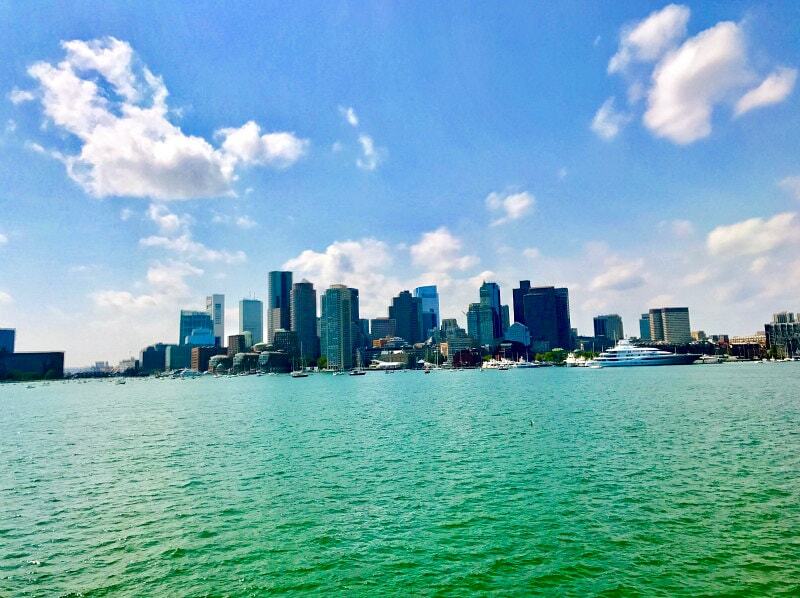 There are gorgeous views of the city of Boston when you’re out in the harbor! I don’t have a recommendation for any specific company to use for the tour. Just hop on one of them, and I’m sure they’re all about the same. After our tour, we had to head into an Irish pub for a tall one. 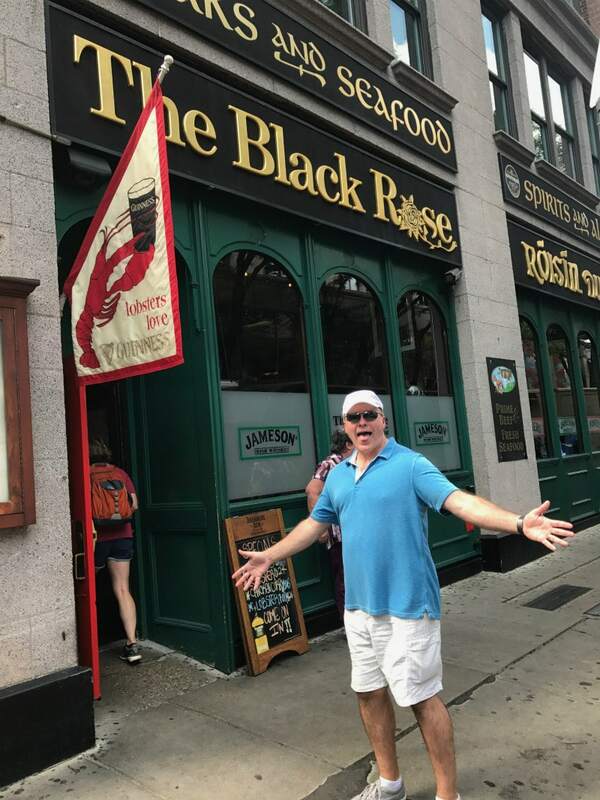 There are plenty of Irish pubs in Boston! This city has my heart. If you have never been, then add it to the bucket list. 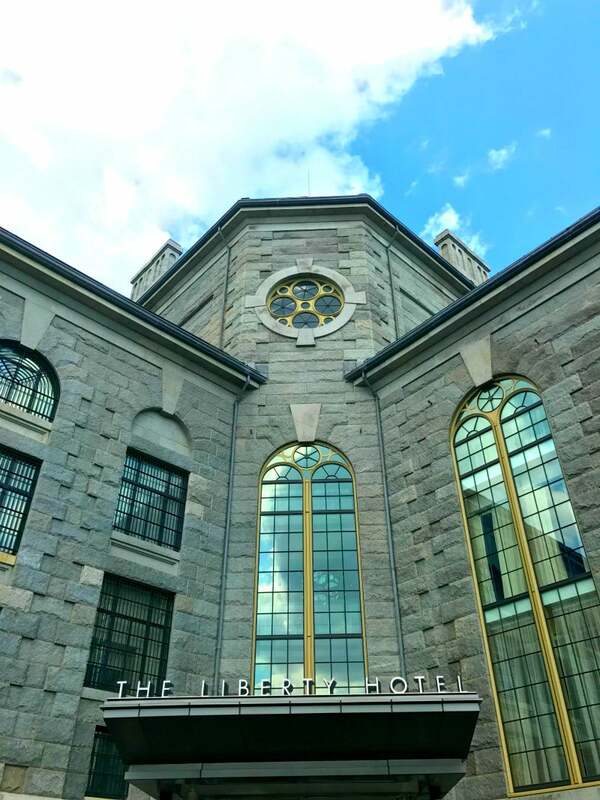 And if you’ve been, I suggest you check out Liberty Hotel. It’s a cool spot- something a little different. We enjoyed our stay! 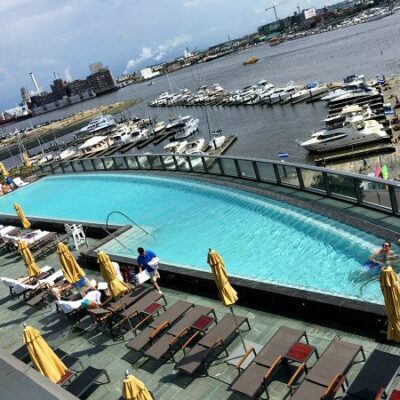 Liberty Hotel Boston offers social events that are complimentary to hotel guests. 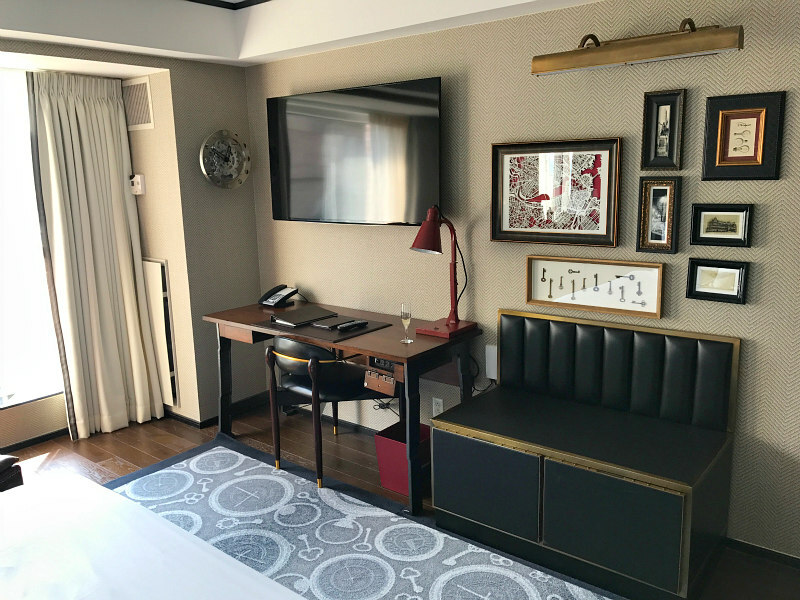 The Liberty Hotel Boston offered me a discounted press rate during our hotel stay. All opinions shared about the hotel are my own. Thank you for sharing. Made me feel like I was there. It’s on my bucket list. Hopefully one day soon to visit as well. You’re welcome. 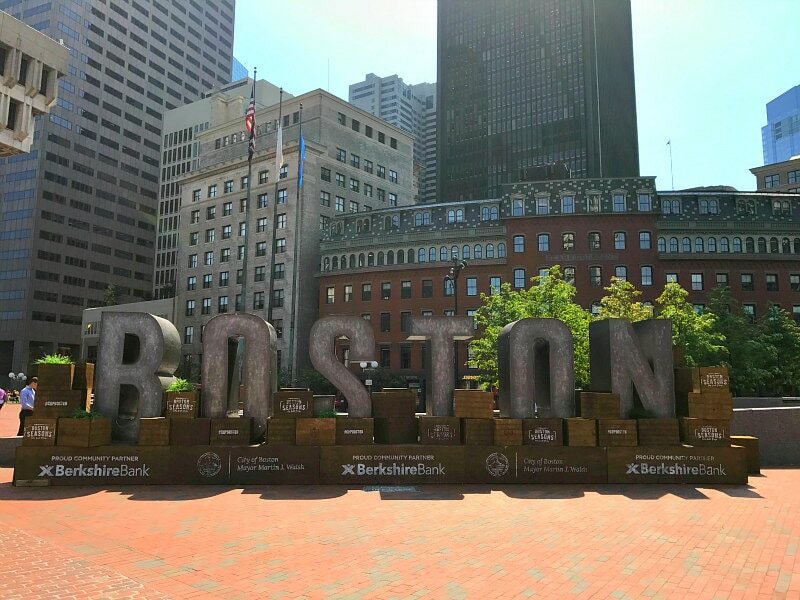 Boston is a great city!